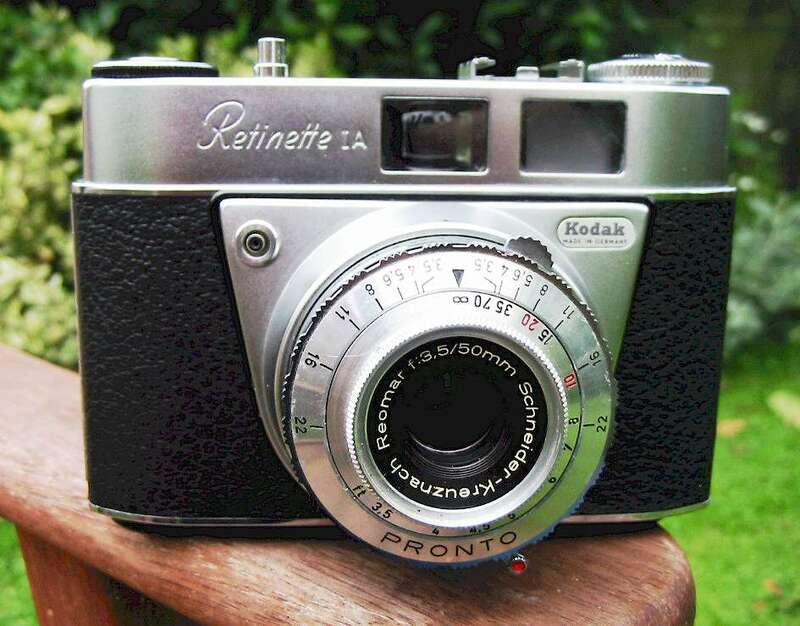 If you've found your way to this page you were probably looking for help solving a problem with your Retina or Retinette camera. Perhaps the shutter is sticking, or perhaps the film advance appears to be jammed. You can find some useful information on common Retina & Retinette faults on this page, and you will also find links to instructions for various common repairs in the 'How to...' section under the 'Repair help' tab above. If you are not keen on the do-it-yourself approach, then I can repair your beloved camera for you. I can certainly get your camera working correctly again and return it to you promptly. If there are aspects of the cosmetic condition of your camera that you want dealt with then please discuss those concerns with me before you send the camera for servicing. At about this stage you are likely to be wanting to know what all this is going to cost you. Below you will find a list of charges for common repairs. These prices all include the cost of any minor parts, screws, springs etc, and I have also listed the cost of airmailing the camera back to you. How are payments made? I don't require any payment in advance, I will simply invoice you through Paypal once your camera is ready to go home. Paypal is a convenient way to make or receive international payments, and a one-off payment can usually be made with minimal fuss using a credit card, even if you don't already have a Paypal account. How long will it take? Normally I can have a camera repaired and back out the door in around two weeks, often sooner. Airmail between the US or Europe and New Zealand reliably takes around a week to ten days each way, so allow for a month or so without your camera. Please Contact Chris Sherlock for mailing instructions, or to discuss your particular camera. Postage prices listed below are those for those customers living in Europe or the USA. For those of you living in Australia, or parts of Asia, the cost of postage will be lower, please contact me for an accurate price. Fellow Kiwis, unfortunately while you get to save a lot on the postage component, the government will want their GST, which of course adds 15% to the repair bill. My standard price for servicing the Retinettes is NZ$130.00, the cost of return by airmail to the US or Europe will add NZ$35. This service will involve a CLA of the shutter, and any repair, cleaning, lubrication and adjustment needed elsewhere in the camera. Almost invariably, this means the camera is actually stripped to the chassis to clean out any dust, sand and dried lubricants. If you really want tracking and insurance on your camera when I ship it home, this can be done. I can send the camera using International Courier, but it does add thirty or more dollars to the shipping price. My standard price for servicing any of these models is NZ$145.00, the cost of return by airmail to the US or Europe will add NZ$35. This service will involve a CLA of the shutter, and any repair, cleaning, lubrication and adjustment needed elsewhere in the camera. Almost invariably, this means the camera is actually stripped to the chassis to clean out any dust, sand and dried lubricants. The focus helical will be stripped down for cleaning and reassembly because the grease dries out and goes hard. This is a particular problem with the Retina Ia or earlier models, and the film advance mechanism will get the same treatment. 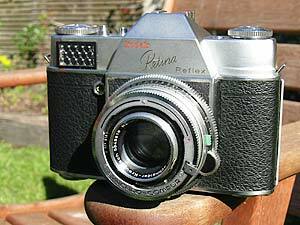 Sometimes Retina Ib cameras are found to have a worn or damaged shutter-cocking rack. I have a rapidly dwindling supply of original Kodak parts and I charge NZ$50.00 in addition to the standard servicing charge above if a replacement cocking rack is to be fitted. My standard price for servicing any of these models is NZ$175.00, the cost of return by airmail to the US or Europe will add NZ$35. 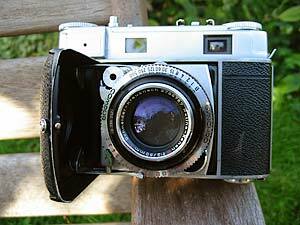 Servicing involves a thorough CLA of the shutter, and any repairs, cleaning, lubrication or adjustments needed elsewhere in the camera. Almost invariably, this means the camera is actually stripped to the chassis to clean out any dust, sand and dried lubricants. The service also includes stripping, cleaning, reassembling and adjusting the rangefinder on these models. The focus helical will be stripped down for cleaning and reassembly because the grease dries out and goes hard. 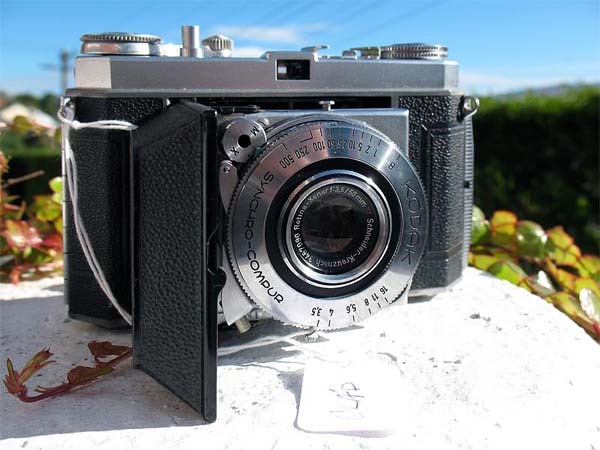 This is a particular problem with the Retina IIa or earlier models, and the film advance will get the same treatment. Sometimes Retina IIc, IIC,IIIc & IIIC cameras are found to have a worn or damaged shutter-cocking rack. I have a rapidly dwindling supply of original Kodak parts and I charge NZ$50.00 in addition to the standard servicing charge above if a replacement cocking rack is to be fitted. Retina IIIS, Retina Reflex, Retina Reflex S, Reflex III, Reflex IV. My standard price for servicing these models is NZ$250.00, the cost of return by airmail to the US or Europe will add NZ$40. This price also includes the cost of replacing the meter cord if required. This service will involve a CLA of the shutter, and any repair, cleaning, lubrication and adjustment needed elsewhere in the camera. Almost invariably, this means the camera is stripped to the chassis to clean out any dust, sand and dried lubricants. I have good supply of new shutter cocking racks for Retina Reflex III and IV models, and I charge NZ$35.00 in addition to the CLA cost where a new rack is required. I have no more new exposure meters for any of these models, but I can usually find a good used one for which I charge NZ$65.00. I will need to see the standard lens with the camera body so it can be checked to see that the diaphragm opens and closes smoothly. Any stiffness in the diaphragm mechanism places extra stress on the shutter cocking action in the camera, potentially leading to serious damage. Any work required on the standard lens is covered by the standard servicing charge.